Since its establishment in 1995, AUG has developed a strong reputable image amongst students and education institutions. With a total of 23 offices located at Australia, Malaysia, Indonesia, Hong Kong, Singapore, China, and the Philippines, AUG represent over 250 institutions across Australia, UK, USA, Switzerland, Malaysia, Singapore, Indonesia, and many more. As a company that priorities students, AUG strive to go the extra mile for our students and continuously seeking ways to increase the range of its services, to provide a lot more than education advices and services. For that reason, AUG have a long-established relationship with highly regarded names in health care, accommodation, and banking industry, while actively seeking more partnerships that will only benefit its students. Through these collaborations, all benefits that we received, we pass them directly down to our students. 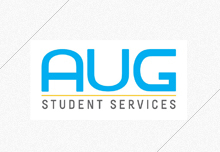 At AUG, we are committed to ensure students succeed academically, as well as socially. Enquire, apply and accept your offer through AUG TODAY! We will show you that we go beyond providing top class educational advice and guidance.